Rockn' to LOCKN' is Back and Better Than Ever! Summer’s here and the time is right to refresh your walls with memories from LOCKN’ Festival! 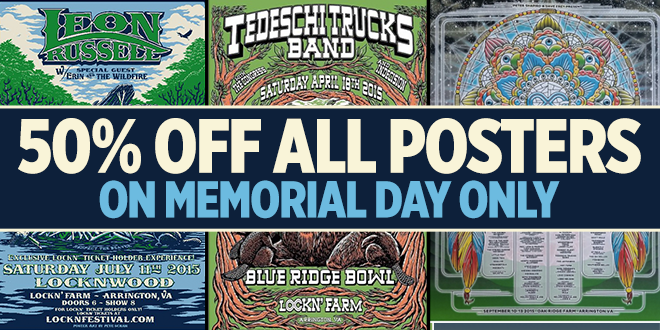 On Monday, May 30, all posters will be discounted 50%, on LOCKN’s on-line store. Get some brand new inspiration for your home and decorate your walls with your favorite posters from LOCKN’ Festival.